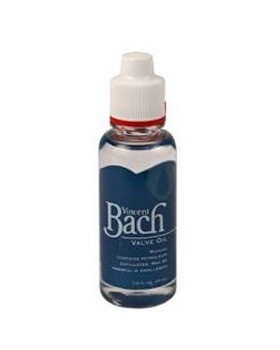 Band Accessories / Oils-Greases / BACH VO1885SG Valve Oil 1.6 Fluid Oz. Specially Formulated To Minimize Valve Wear Over A Wide Temperature Range, This Highly Refined Valve Lubricant Works Without Buildup. Formula Contains Non-Kerosene-Based Synthetic Mixed With Fine Swiss Clock Oil. Lubrication Of The Total Valve Surface Minimizes Piston-to-casing Friction, Improving Valve Action And Response.